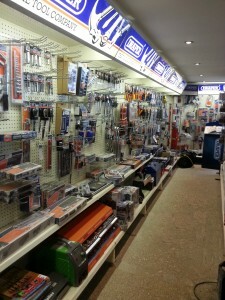 Once inside Cherrys Country Hardware, customers can access our comprehensive range of products and sundries, all competitively priced and catering for “life in the country” for both home and business. We have a large selection of household supplies, from cleaning products to pet food as well as a range of quality tools to suit everyone from the DIY enthusiast to the professional user. As comfort and safety are key in the agricultural and trade industries, we stock an array of work and safety wear from leading brands such as Buckler and V12 boots, to hard-wearing Dickies trousers and high-visibility clothing. We understand that, all year round, the need for effective pest-control products is a reality for many of our customers; for this reason we are always well-stocked with a vast selection of pesticides, from household fly sprays, to poisons for both the domestic and professional control of vermin. 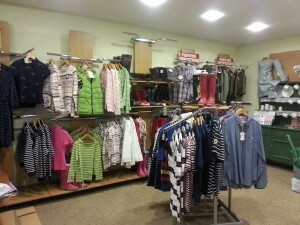 We also boast a delig htful and practical range of casual country clothing from leading brands including Joules, Le Chameau and Aigle in the dedicated clothing shop in store. This provides a wide range of expertly designed styles for infants, children, men and women. In store, customers can also take advantage of our excellent parts service to source quality replacement parts for garden and agricultural machinery. Our stores and parts staff are always available to provide assistance and technical advice where required.